While this statistic from Buffer Social only covers Twitter, the trend is similar across all social networks. 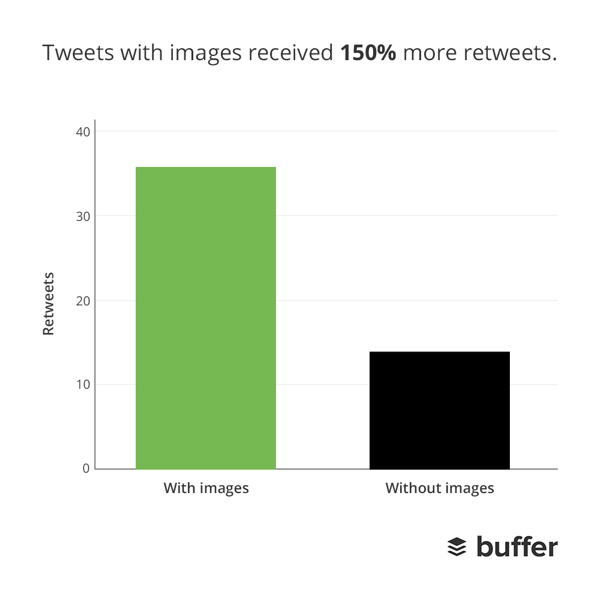 Social posts have a noticeable jump in impressions and engagement when images are included. Every company – whether it be a blog or brand – aims to have a strong social media presence. Social media platforms are growing increasingly more important in influencing a customer’s purchase decision. Imagery is often prominent on influential social accounts; in fact, some platforms prioritize images over the use of the text (Instagram or Pinterest). Photos not only help the account look appealing, but it also attracts new followers because people are inherently visually oriented. Top-notch graphics with a strong, singular message are key to converting on social networks. Merchants should create banners that focus on a specific product or offer, giving the Affiliate multiple options for use across all of their social channels. 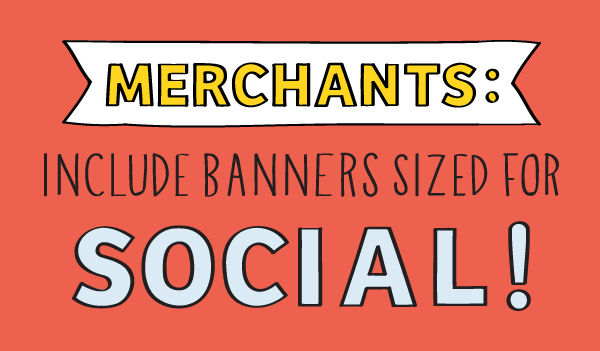 Merchants can help both themselves and their Affiliates by making sure to provide correctly sized banners for social. 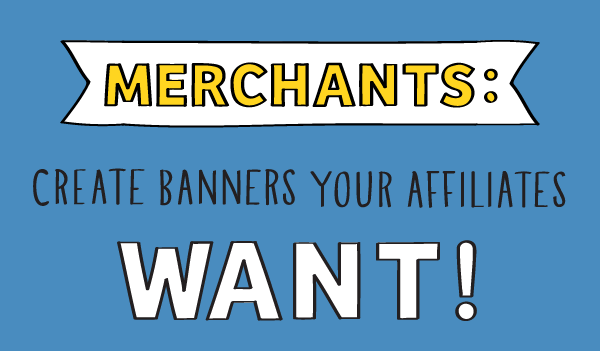 Without them, Affiliates are forced to request specific banner sizes (which can be a lengthy waiting period), create their own (which might result in something not on brand), or even worse, find a different brand to feature (which would mean the Merchant is losing out on money)! 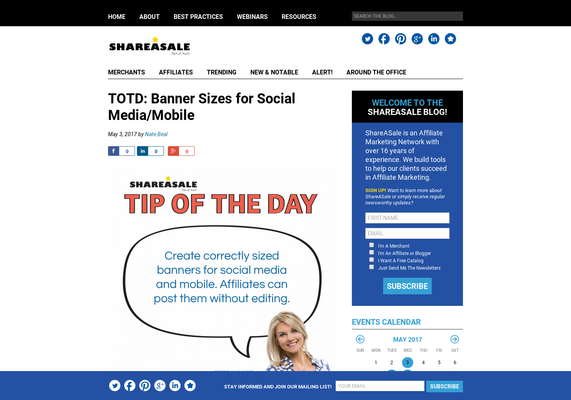 Save everyone time by providing banners that are geared towards social media. Social Media makes it easier than ever for sharing content, information, images, and affiliate links! Affiliates who use their social accounts as a part of their affiliate marketing strategy can be a very powerful resource for Merchants – the potential level of impressions for a single banner can be extremely high! Because of the ease of share-ability, Merchants should also create banners that focused on specific products. With the power of social media, it is the perfect stage to announce a new, seasonal product line or a popular, sale item on sale for a limited time! Don’t forget to include a stand-out CTA! Social is the ideal spot for an eye-catching banner enticing Affiliates to click, join or buy. Do you have a “trending products” section on your website? Are you trying to blow out inventory during a liquidation sale? Use ShareASale creatives to reflect the merchandising strategy that you are implementing on your actual website. 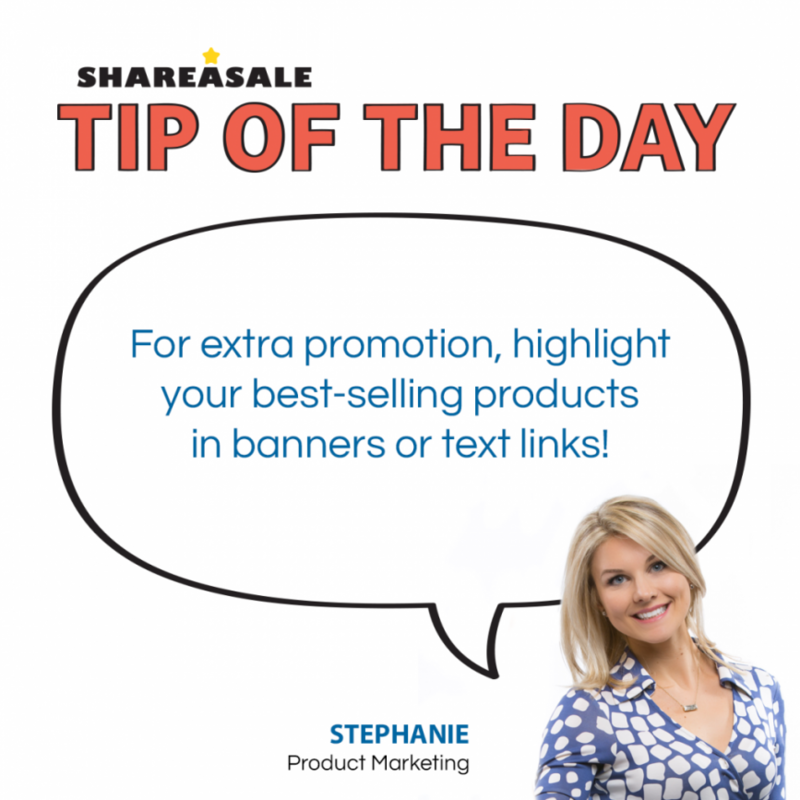 Feature products that you are highlighting on the homepage or in email promotions to your customers.